TrackRay was also designed to be used by mobile users. All functionality is equally available on either a desktop PC/MAC/Linux computer or cell phone, smartphone, handheld, or other Internet-capable mobile device. Mobile users can create and edit tasks, add workflow details, assign tasks to others, monitor completion progress, enter time entries, specify work description, effort hours, projects, customers or activities, generate reports, and more. All that can be done easily from anywhere using a cell phone, smartphone, or other Internet-capable mobile device. Full usability for the mobile medium is one of the primary strengths of TrackRay software. Most other task or time management software was originally designed for desktop use, with quick patches added later to support mobile users and offer only a limited set of functionality to its mobile customers. This is not the case with TrackRay. It was designed for mobile use from the beginning. 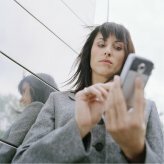 Not being tied to the desktop computer and being able to perform work using a mobile device from anywhere provides enormous flexibility for the business. You can use "Site View" links to switch between Desktop and Mobile versions of the TrackRay main site and the Task/Time management program.